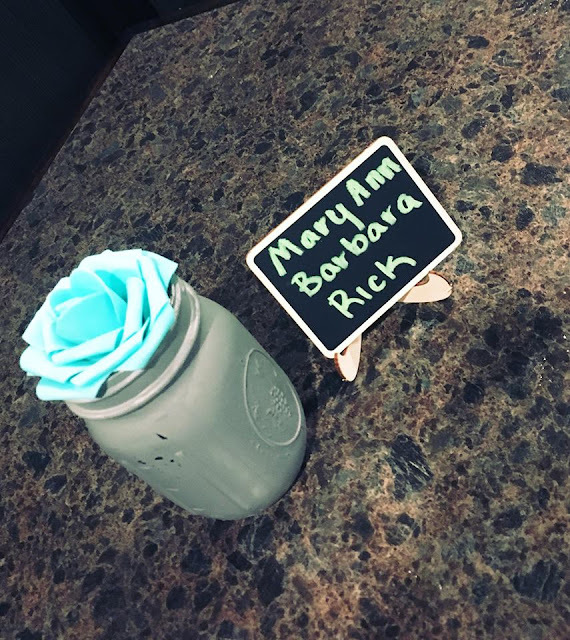 This week our color of the week is RED. 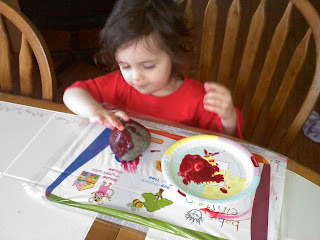 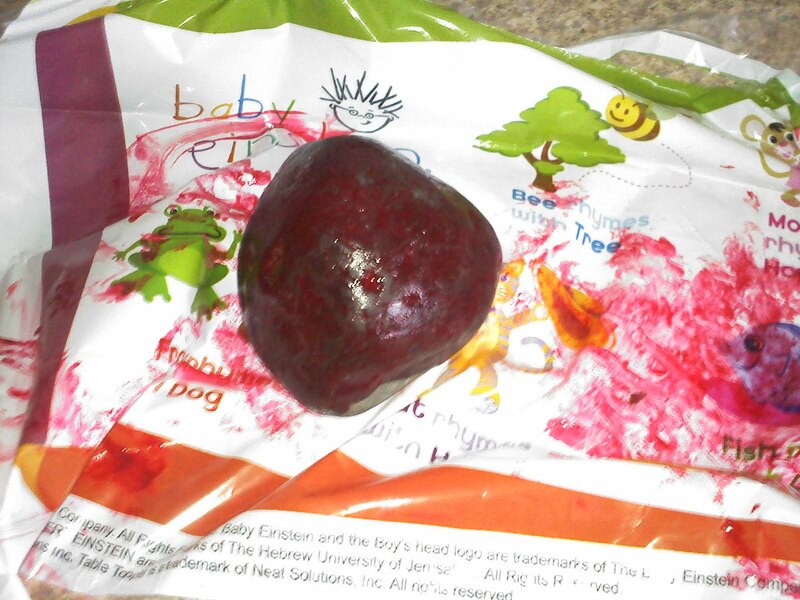 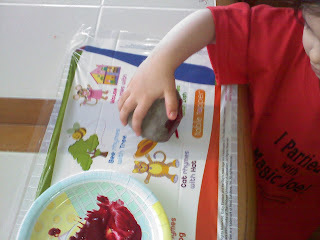 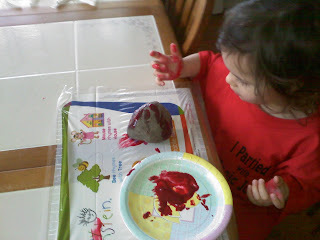 Yesterday we made some red Play-doh and today we painted a rock. 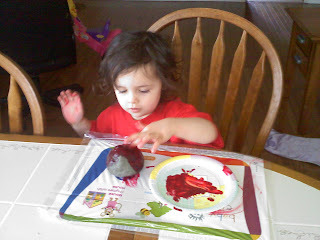 and just let him have fun..